Added on 21 March 2014 . By Andre Jackson. In recent times, I think it has become increasingly difficult to find establishments of genuine quality in Shoreditch. Callooh Callay has been a main stay of the area for some time, offering award winning cocktails in a wonderfully eccentric environment, so I thought I’d head down there to see if they were still flying the flag for Shoreditch. Tucked just off of Curtain Road, the unassuming exterior of Callooh Callay provides a fun and surprising antithesis to the exciting interior. You are instantly presented with a topsy-turvy world where random vintage accessories and 80's inspired cassette tapes add to the eye-catching furnishings. Don’t be fooled by the size, there are two areas to sit downstairs, one with a bar and one providing table service, whilst the upstairs bar offers a more exclusive and secretive vibe with its collection of limited edition spirits. Callooh Callay is paradise for a proper cocktail lover. Much cooler and calmer than anywhere else in the area, Callooh Callay provided welcome respite from the chaos of other Shoreditch bars. I really got the sense that I was somewhere a little bit special. The crowd are a little bit older, music resonates throughout the whole bar (but not so loud that you can’t speak) and the staff are all very well trained, chatty and helpful when it comes to dissecting the detailed cocktail menu. The clientele are made up largely of after work new media types, big parties out on special occasions and couples (a quite impressive spot for those on a date). This melting pot makes for a fun and interesting atmosphere that definitely encourages fun. 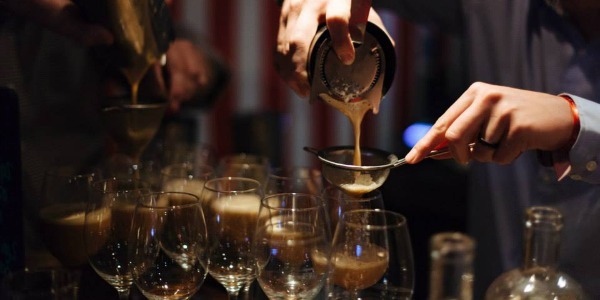 With expert mixologists behind the bar, you are guaranteed a little glass of joy. 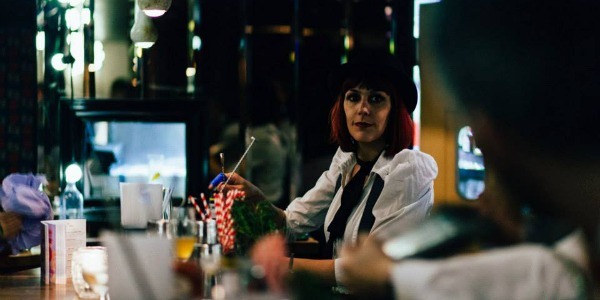 Whilst they do offer a small selection of bar snacks; including mini beef burgers, deep fried baby squid and quite possibly the best chips in London, it’s the cocktails that do the talking here. With a selection of around 20 completely unique cocktails it might take you a while to decide, but rest assured you will not be disappointed. These are proper cocktails, well thought out, mixed to perfection and most importantly… strong. Our favourites were the aptly named ‘Spruce Willis’ (combining a hard hitting combo of vodka, spruce, Aperol, amontillado sherry and lemon soda) and the ambitious ‘Salt N Vinegar Martini! It’s certainly one of the best cocktail menus I’d seen, and although they aren’t cheap, you really can taste the quality in every sip. 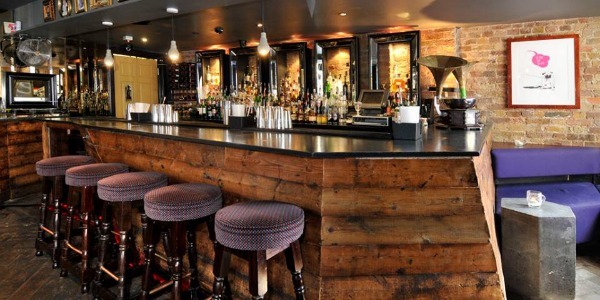 With various seating areas, kick back and get stuck into the wonderful cocktail menu. If you are riding the cocktail wave that’s consuming London at the moment, Callooh Callay is an absolute must. With a very cool atmosphere, tasty bar snacks and quite simply some of the best cocktails you’re likely to drink anywhere in Shoreditch, get yourself sorted and go. Born and bred in London, Andre is always seeking out the city's latest and greatest. A keen foodie and lover of all things D&B.